When you think of the Winter Olympic Games, the first thing that springs to mind is the high-adrenalin, all action, snow sports such as snowboarding and skiing. However, the Games actually provide a wide range of diverse sports for spectators to enjoy one of which is figure skating. The most famous figure skaters in Great Britain are 1984 Winter Olympic gold medallists Torvill and Dean. Best known for their Bolero routine which saw them become the highest scoring Olympic skaters of all-time, the pair received 12 perfect 6.0s and six 5.9s from the judges to clinch the medal. This victory catapulted the pair to global fame and saw them receive a hero’s homecoming on their return to their home city of Nottingham. However, the sport of figure skating had significant origins prior to Torvill and Dean taking to the ice. Over a century ago the sport made its debut at the 1908 Games in London, however back then the sport actually took place at the Summer Olympics. It was in 1924 at the Winter Olympics in Chamonix that the sport made its debut on the Winter stage with Austria coming out on top as the only nation to win more than one medal in the sport. Since then figure skating has been a main stay in the Winter Olympics appearing at every competition since. On the all-time medal table in figure skating, the USA lead the way with a staggering 49 medals in total, 15 of which were golds. The next best total is Russia in second place who have acquired 26 medals, with 14 being gold, however they will not be able to add to this tally in PyeongChang as Russian athletes will not be allowed to compete due to doping allegations at previous Olympics. 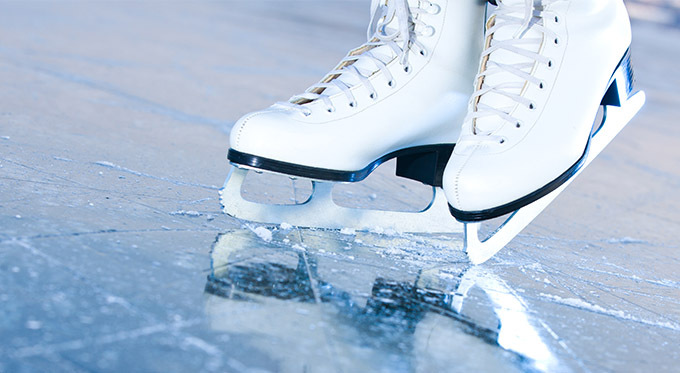 There are several different figure skating events that take place at every Games and these are: men’s singles , men’s special figures , Ladies’ singles , pairs , ice dancing and mixed team . Each country is allowed to enter three entries per discipline. Synchronised skating is not included at the Olympics but does have long-term aims of appearing at future Games and the men’s special figures event, won’t be taking place this year. This year will see 32 different nations compete in the figure skating discipline, with Canada taking the most in 17. Despite being banned from the Games, 15 Russian athletes will make the journey to South Korea but will be competing under the independent Olympics flag rather than that of their country. It was the Russians who were the most successful skaters in 2014 as they scooped five medals, three were gold. Great Britain are only taking two athletes to the Games, with Penny Coomes and Nick Buckland hoping they can come away with a medal after a fantastic qualifying campaign. For any further information in regards to how to book any of our Olympic Speakers, simply get in touch with us here at Champions Olympic Speakers agency by filling in our online contact form. Alternatively, call an official booking agent on +44 1509 85 29 27 today.